I was contacted by Sandy Mohler to take a look at their existing website, and bring it up to a more modern design which would be easier to see on mobile devices. Also, they were having terrible service from their previous web design company. Lastly, they wanted me to tackle their search engine optimization efforts, as they have struggled for their existing website to rank in the major search engines! 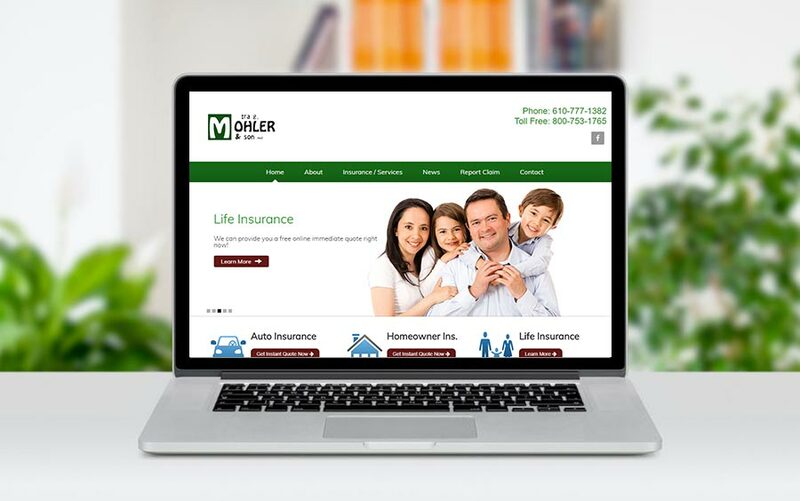 I took on this challenge and am happy to report that Mohler Insurance now has a more modern design, but even more importantly, their website leads have increased substantially since the new website launch. Within a few weeks, their website achieved top 10 organic ranks for many of the most popular search terms for local insurance agents. Our website never used to rank well, now it does! Thank you for all your effort. Our website never used to rank well, and now we are on the first page of google results for several great search terms!! Fantastic! Our website inquires have increased quite a bit. Your service has been much better than we are used to with website companies! Keep up the great work.